Every day we hear a variety of sounds. Sounds that are too loud, or loud sounds over a long time, can damage your hearing. The loudness of sounds is measured in decibels (dB). 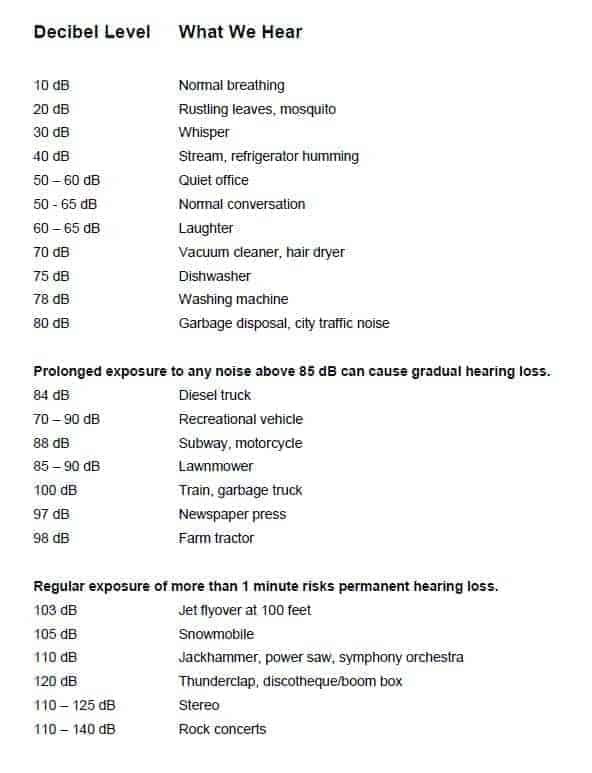 Learn the decibel levels for different sounds and know which noises can cause damage to your hearing. Protect your ears when you are involved in a loud activity. If you are interested in learning more about how to protect your hearing if your lifestyle exposes you to higher decibel levels, call our office today at 423-641-0956. We can evaluate and assess any current hearing loss issues and discuss ways to help prevent further loss in high-risk environments.